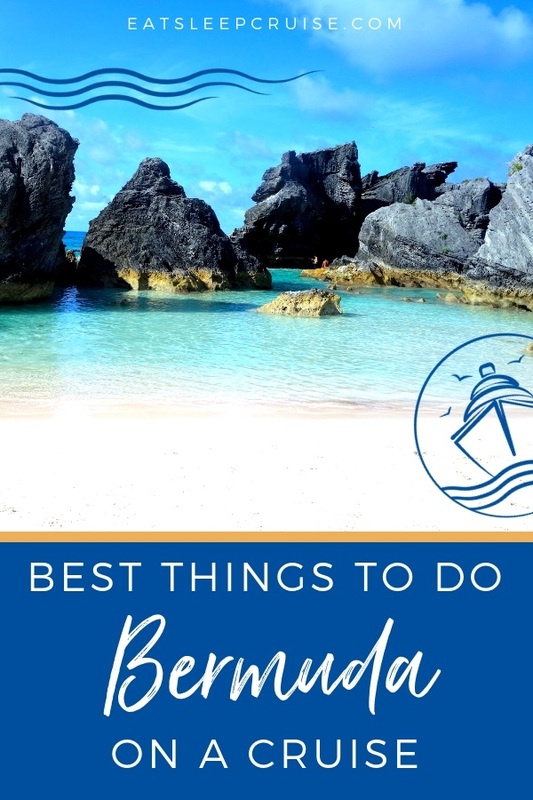 Located 600 miles off the coast of North Carolina, Bermuda’s location, temperate climate, rich history, and pink sand beaches make it a popular cruise destination, with the season running April to October. 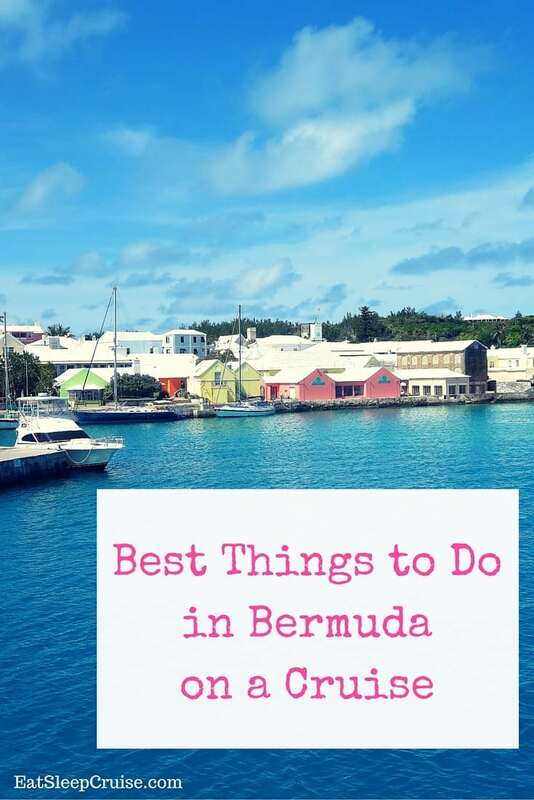 If you are cruising to Bermuda and wondering what you should see and do during your visit, look no further than our list of the Best Things to Do in Bermuda on a Cruise. 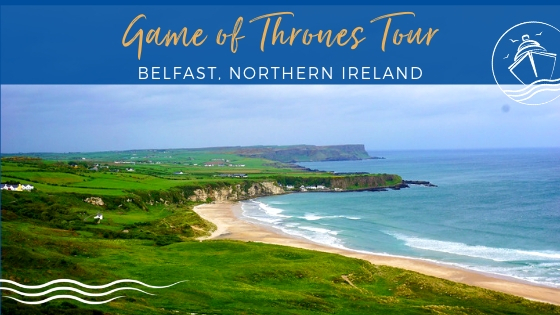 Admittedly, you will not be able to see and do everything during one visit, so you will have an excuse to plan another cruise to this beautiful location. 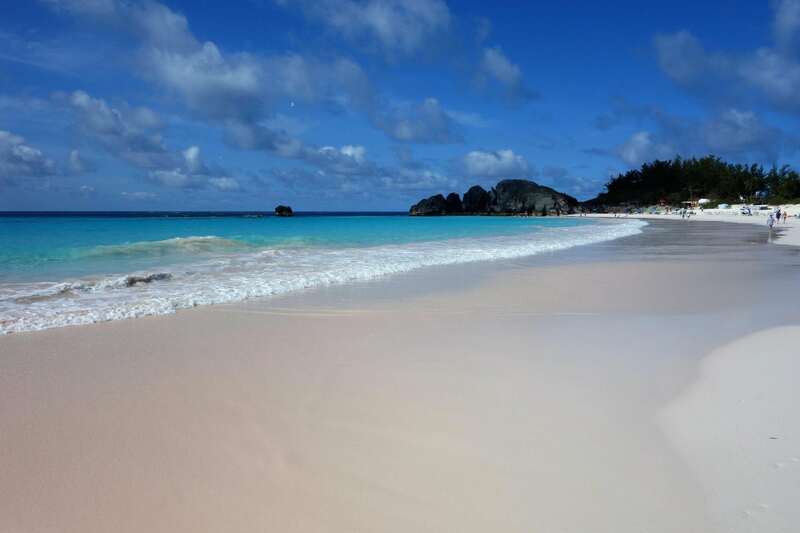 When you think of Bermuda, the first thing that probably comes to mind is the gorgeous pink sand beaches. So naturally, visiting one of these beaches makes our list of the Best Things to Do in Bermuda on a Cruise. 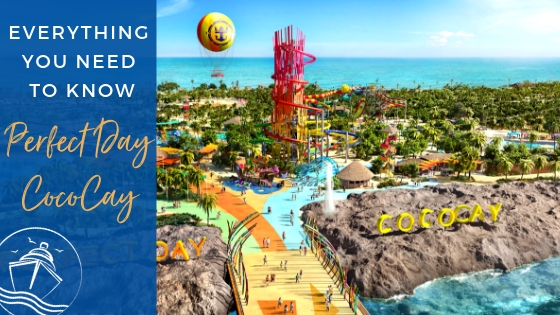 If your cruise ship is docking at Kings Wharf or Heritage Wharf, the Snorkel Park Beach is your closest option. There is a $5 admission fee, chairs, and umbrellas available to rent. 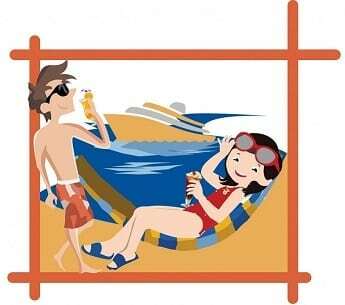 For amenities, there is a beach bar and grill, and onsite snorkeling and watersport options for additional fees. Although this man-made area can offer plenty of fun in the sun, we suggest venturing out a bit further to the parish of Southampton. Horseshoe Bay beach is approximately 30 minutes away from the cruise terminal and can be reached via taxi or bus (bus #7). This beach has been voted one of the world’s best beaches, so get there early as it can get crowded. If you want to explore a bit more of the South Shore beaches, there is a walking trail that leads to Jobson’s Cove and Warwick Long Bay which is great for snorkeling. If you are willing to venture even further from the Dockyard, Tobacco Bay beach, located in St. George, is another beautiful beach. 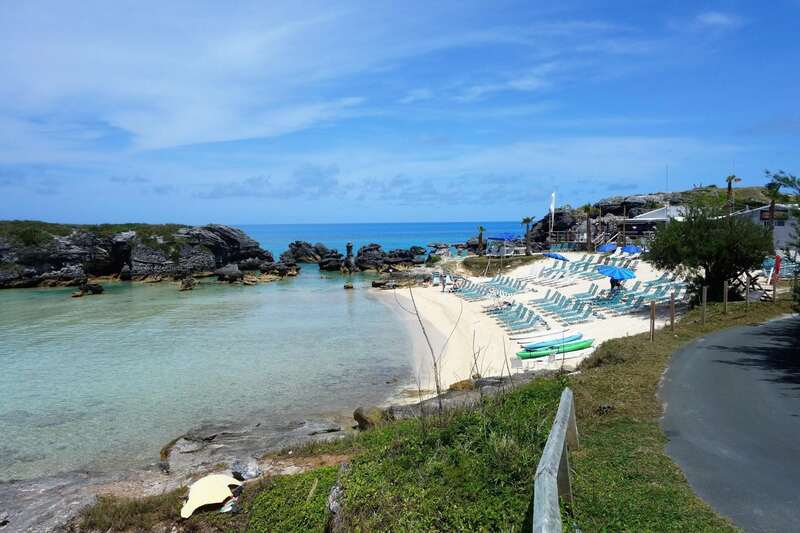 Although no pink sand, it too is among the best beaches in Bermuda and another great snorkeling location. Tobacco Bay beach can be reached by taking the Orange Ferry from Kings Wharf to St. George. 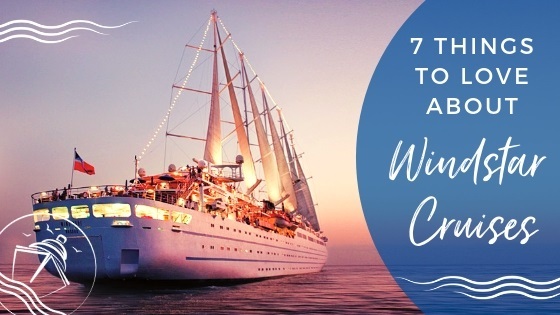 Whether you choose to book a pre-arranged shore excursion with your cruise company or take a self-guided tour of the island, there is plenty to see! 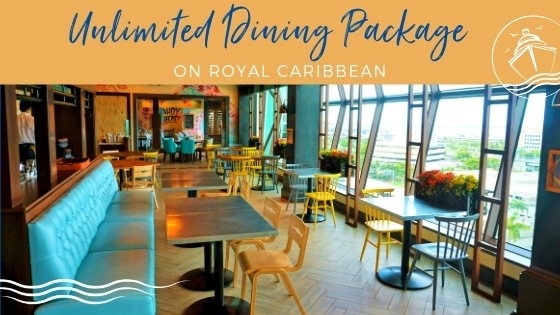 If your cruise ship is docking in Kings Wharf or Heritage Wharf, the Royal Naval Dockyard is within walking distance. Once a strategic navy base, this area has now been transformed into a tourist attraction with the National Museum of Bermuda providing a recount of Bermuda’s rich history. 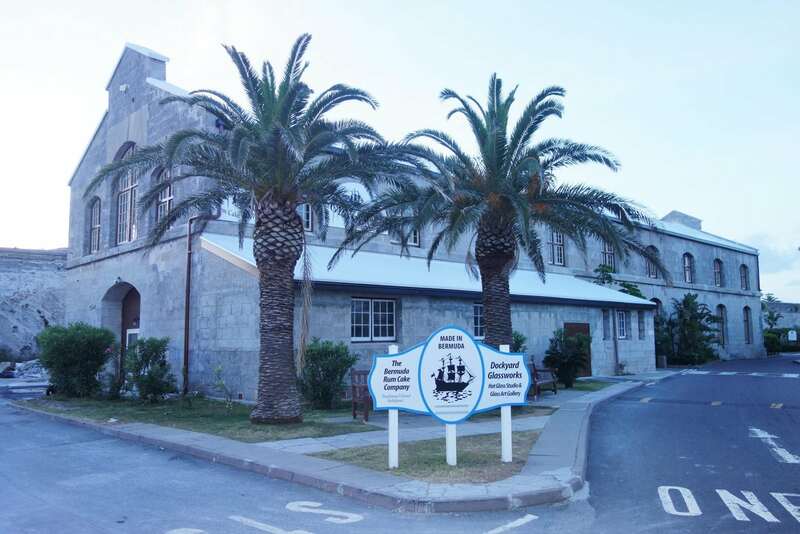 Also located in the area are the Bermuda Craft Market, Bermuda Rum Cake Company, Bermuda Clayworks, and Dockyard Glassworks, all which warrant a visit. Continuing further east on the island, you will want to secure some photos of the Somerset Bridge, the smallest drawbridge in the world, and the Gibbs Hill Lighthouse, one of the world’s oldest cast iron lighthouses. If you have the time to venture even further, a trip to Hamilton, Bermuda’s capital city is in order. 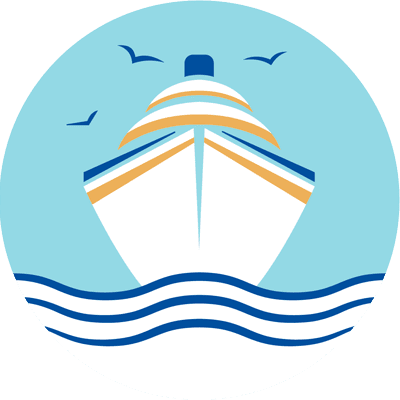 A ferry ride on the Blue line is the quickest way to get there from the Dockyard (20 minutes). While in Hamilton, you will want to do some shopping on Front Street, the commercial hub of this city. You may also want to visit one of the many parks including Queen Elizabeth Park. 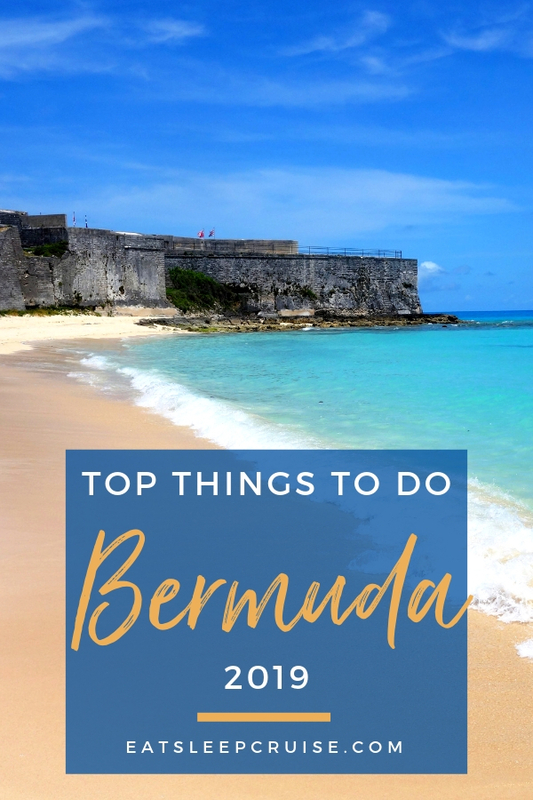 Other popular stops include the Bermuda Historical Society Museum, the Bermuda Cathedral, Fort Hamilton, Hamilton Harbor, or the Bermuda Aquarium and Zoo. Be sure to grab a drink at the Swizzle Inn, Bermuda’s oldest and most famous pub, while in the area. 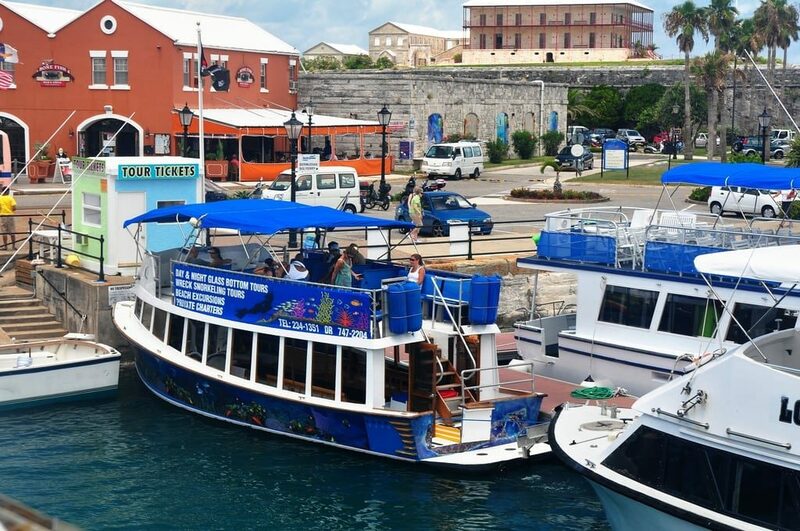 If you want a more in-depth historical experience than just a basic island tour, we suggest taking the Orange line ferry directly from the Dockyard to St. George (about 45 minutes) to spend your day exploring this UNESCO World Heritage Site. Arriving by ferry, Kings Square is only a short walk. From here, you have a few different options to explore the downtown area. You can take a self-guided tour or one of a few different guided tour options. 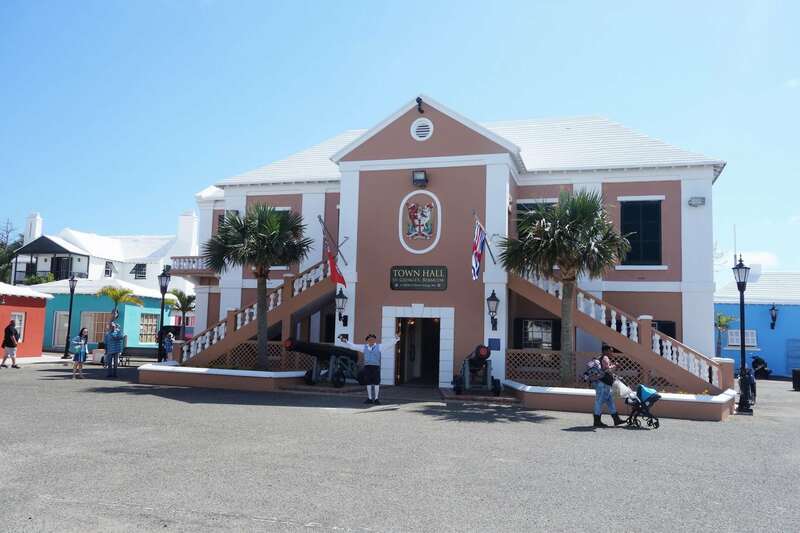 Along the way, you can see sights including Town Hall, Bermuda National Trust Museum, the Bridge House, the Old State House, the Tucker House Museum, and St. Peter’s Church, among others. While in the area, you might also be able to catch the ducking stool re-enactment which takes place at 12:30pm. You can cross the small bridge into Ordnance Island to see a replica of the Deliverance or take the short uphill walk to the Unfinished Church as well. Beyond the downtown area, there is much more history to explore in the eastern end of St. George. 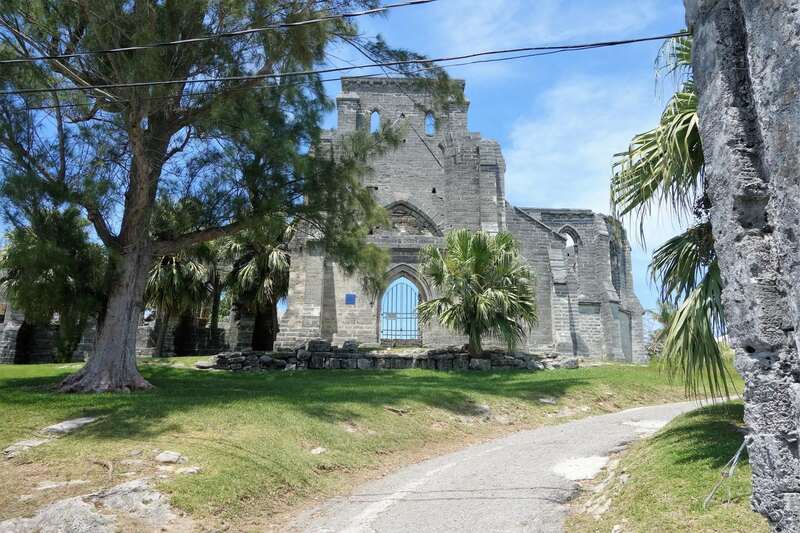 You can opt to walk (uphill) or take a mini-bus to St. Catherine’s Fort (available for purchase at the Visitor’s Center). St. Catherine’s Fort is arguably one of the most impressive historical structures on the island and well worth the $7 admission fee for some exploration. St. Catherine’s Beach (Gates Bay) is located adjacent to the fort and is a hidden gem. Once at St. Catherine’s Fort, you can choose to do a little more exploring on your own. Within walking distance to the fort is Tobacco Bay Beach, Alexandra’s Battery, and Gates Fort. Or, you can simply take the mini-bus back to downtown. If you still have any time, or energy, left after your historical tour of St. George, you might want to hail a bus or taxi to the Crystal and Fantasy Caves located on the outskirts of Hamilton. This is 25 minutes from Kings Square, St. George; alternatively reached via ferry from the Dockyard to Hamilton followed by a bus or by taxi from the Dockyard. 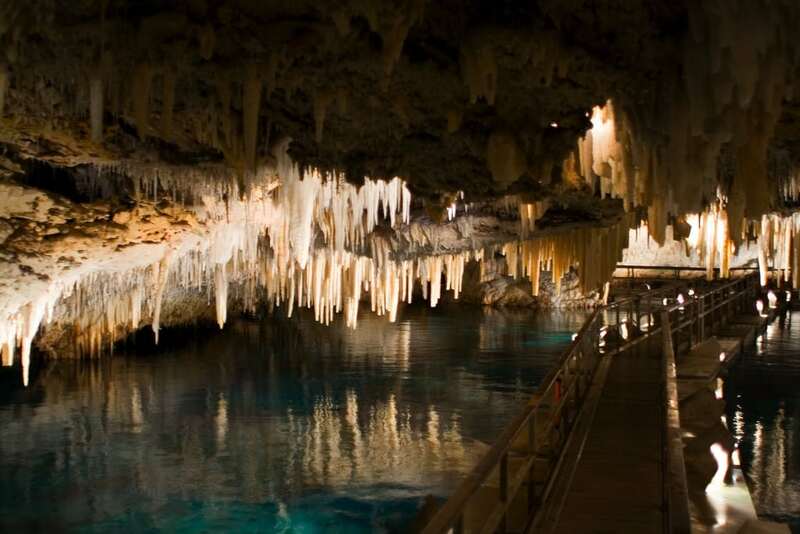 Discovered in 1907 by 2 teenaged boys, these caves have been made accessible for visitors and have since become known as “Bermuda’s True Hidden Treasures”. 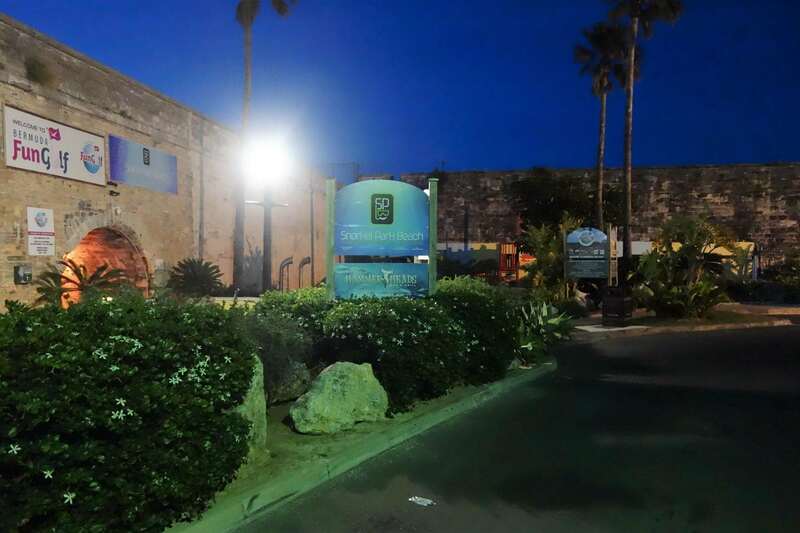 The Crystal and Fantasy Caves are open from 9-5pm daily, with guided tours leaving every 20 minutes. Admission price is $24 for each cave or $35 for a combination ticket. Do plan on approximately 30 minutes to explore each cave. Of note, there are stairs in each of the caves, but those in the Crystal Cave are more gradual whereas those in the Fantasy Cave are steeper. If just reading about all the walking and adventure in the previous options made you tired, then you might want to delve deeper into the mystery of the Bermuda Triangle with a relaxing glass bottom boat tour. Bermuda Triangle tours are available in both the day and evening and are led by knowledgeable guides who will provide some history of the island and this mysterious area as well as the marine life. These 1.5-hour journeys afford beautiful views of the island and an up-close experience with the marine life and coral formations all while staying comfortable and dry. 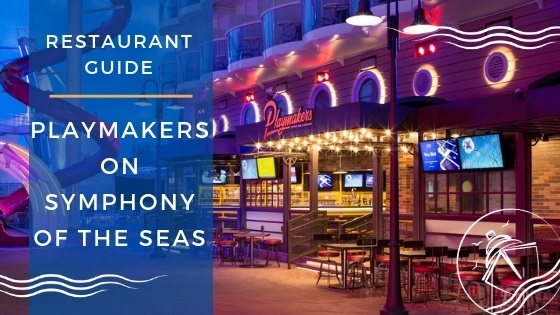 These tours can be booked through your cruise line or through local vendors. If you prefer to get more up close and personal with the sea life and coral formations, Bermuda Triangle snorkeling tours are also available. In addition to the natural wonders around you, you will have the opportunity to snorkel within various shipwrecks in the area like the Vixen, Montana, or Constellation to name a few. Learn a bit of history about these shipwrecks then set out to explore them. Don’t worry, the staff promises you won’t get lost! 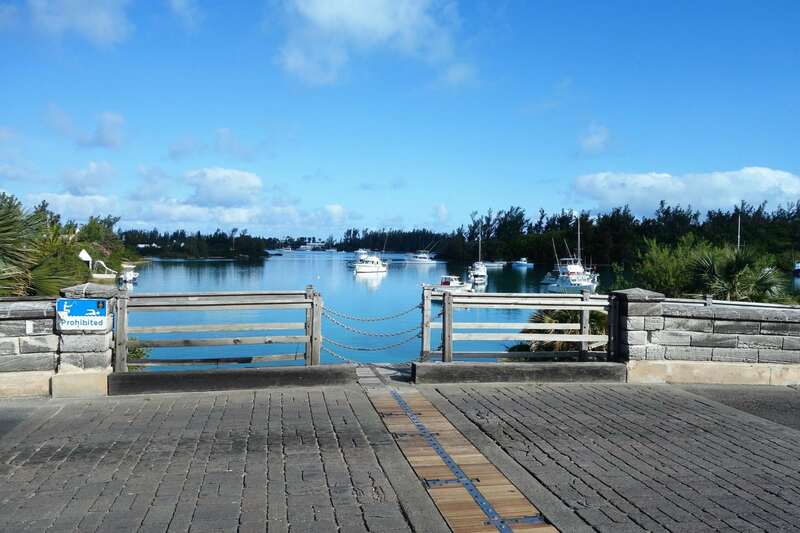 Have you visited any of these attractions during a trip to Bermuda? 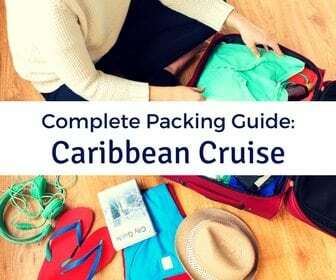 What are your Best Things to Do in Bermuda on a Cruise? Drop us an anchor below to tell us about your experiences in Bermuda to help your fellow cruisers make the most of their time in port. Love this! Your Newsletter came just in time. Leaving on the 18th from Boston to Bermuda on Holland America…I know, not a great family ship but we need rest and quiet this time! Hi Diane. Glad to hear our timing was good with this post. Another cruise this year! We are getting jealous. Neither of us have sailed on HAL. We would love your feedback about the brand and ship. Let us know if you would be up for a guest review on the site. What is this rest and quiet you speak of? 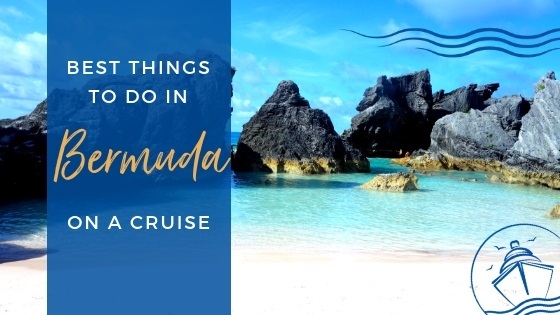 Really enjoyed your post revisiting Bermuda as used to cruise here every week when I worked as a nurse on Celebrity Cruiseline 26 years ago! 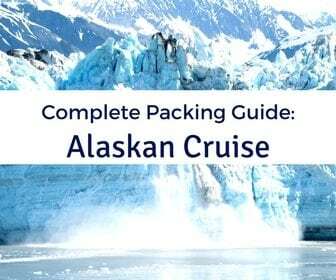 Would love to come back and see how it has changed…best book a cruise! Carole. Really appreciate the comment Carole. A weekly visit to Bermuda sounds like a pretty good job. I bet there hasn’t been too many changes since your last visit. We sailed Celebrity once a few years ago, but would love to get back on-board one of their ships soon. Thanks for reading. Great blog post! We hope to see some of your readers in our historic Town of St George soon! We just came back from Bermuda it was our first time there. The most memorable thing we did was the helmet walk tour. So happy to read this article! I’m scratching two things off my bucket list: this is my first cruise AND I’ve always wanted to go to Bermuda and see a pink sand beach :). Thank you for these great ideas!